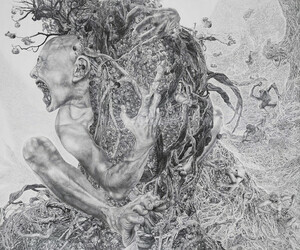 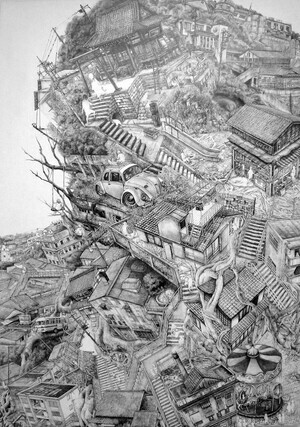 Howl – an elaborate series of pencil drawings by artist Mikiko Kumazawa commemorating the Great East Japan Earthquake of 2011 at the Mizuma Art Gallery. 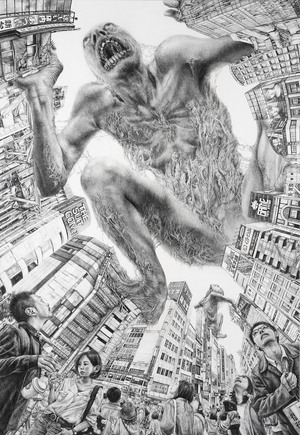 Posted in Art/Craft and tagged earthquake, monster at 2:17 pm on March 13, 2015 by Broadsheet. 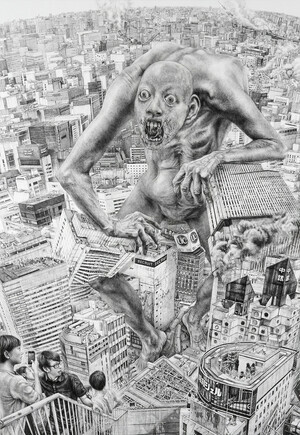 All I can see is Attack on Titan.